As a Nigerian-American undergraduate at Yale, I was both impressed by my university’s grandeur and accustomed not to expect the institution’s most illustrious visitors or highly touted programs to reflect my race or cultural identity. 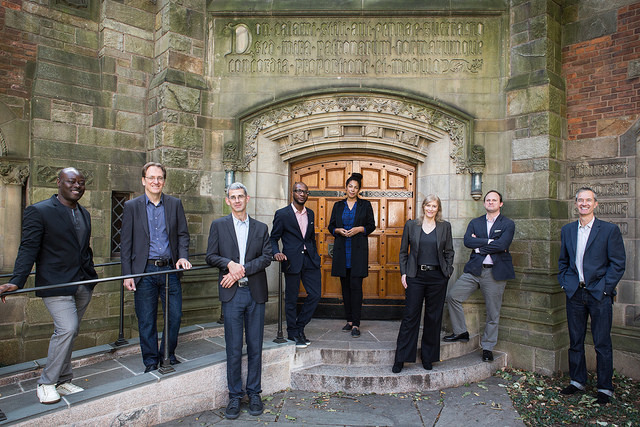 The Windham Campbell Festival, a high-profile, week-long annual celebration of nine exceptional international writers, each awarded a lavish grant of $150,000 to support their work, is both grand and diverse, both typical and not so typical of Yale. From its lively, friendly, funny Twitter to the “open to the public” disclaimer stamped on all of its events to its unabashed appreciation of the sociable effects of booze, the Festival is improbably elegant, elite, down-to-earth, and all-embracing at the same time. I’ve attended the Windham Campbell Festival since its inaugural year–my final year at Yale. As a student, I followed prizewinners into one prestigious Yale space after another. Stimulating literary conversations tickled the adrenaline in my body for an entire week. As an aspiring novelist, I was content to eavesdrop as Yale’s English faculty and these worldly, lauded writers exchanged strategic approaches to the art of fiction. This year, I had the chance to connect with the festival on a deeper, more personal level. 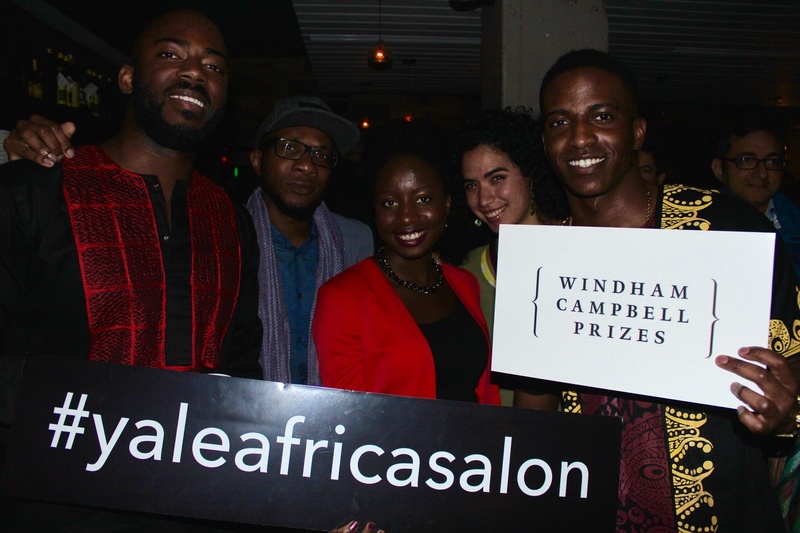 Three African writers – Teju Cole, Helon Habila, and Ivan Vladislavić – won three out of nine Windham Campbell Prizes. Excited and proud, I proceeded to stalk them throughout the Festival. I found the US-born, Nigerian-raised Teju Cole particularly striking; the youngest writer, he was equally eloquent and nonchalant, irreverent and well-read, Nigerian and New Yorker. I remember whispering in an equally impressed friend’s ear, “He is the consummate carefree intellectual black boy.” Nigerian novelist Helon Habila emanated both deep calm and a bright-eyed sense of humor. On the subject of African cities, he said, “The city is a laboratory I watch… There’s brutality, and then you turn a corner and there’s tenderness. For a writer, it’s a gift to sit by the window in Lagos and see stories happening.” I became acquainted with the name Vladislavić through the festival, and at a dinner during the week, found myself seated next to the South African author. 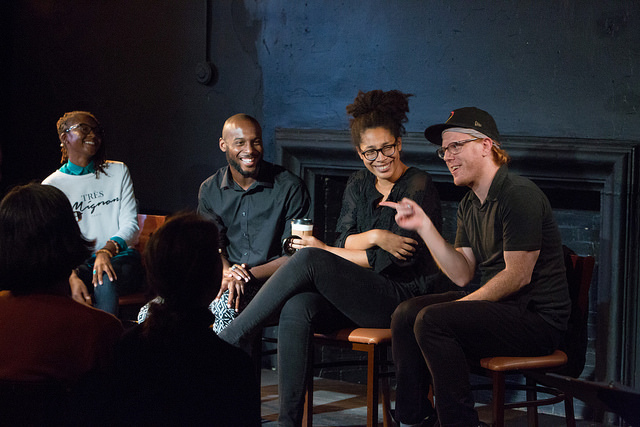 We fell into a rapid back-and-forth that spanned our writing practices, our experiences in Johannesburg and Nigeria, respectively, and our plans after the festival. I felt struck by his attention to and interest in my work as I made notes to visit his award-winning body of writing. Two black female writers whose work engages Africa also won Windham Campbell Prizes. Jackie Sibblies Drury’s famously titled play, We Are Proud to Present a Presentation About the Herero of Namibia, Formerly Known as Southwest Africa, From the German Sudwestafrika, Between the Years 1884-1915, devastated me when the School of Drama staged it at the Yale Cabaret in 2014. At a Festival reception, the approachable and endearing Drury, shared playwriting tips with me and my friend Akisa Omulepu, manager of Just A Band and current Yale World Fellow. Later in the week, she gave a preview of a play-in-progress that is sure to be pitch-perfect in this internet age. debbie tucker green, whose play generations is set in black South Africa, also won a Prize. The Festival’s recognition of these playwrights felt as much like a gift as the participation of the continental African writers. At this year’s fiction panel, African writers filled every seat. While their American moderator appropriately questioned them from a strictly American perspective, the panelists embraced their points-of-view as Africans while also speaking as citizens of the world. They took up the space created for a conversation on “Contemporary Africas,” thinking through the label “African,” their relationships with African cities, the confines of genre, the ethical undertones of their literary projects, and their influences, which ranged from Afrikaans literature to Kundera and beyond. Our new Africanist English faculty member, Dr. Stephanie Newell, guided the conversation. (What I would give to go back in time and see that she was hired while I was an undergrad.) Writing conversations crossed into visual art conversations with African writers at the helm. I listened to their contributions with fascination. I was involved in this year’s Festival in a professional capacity as Curator of AFRICA SALON, a space at Yale for lively, authentic encounters with contemporary African arts and culture. I had reached out to the program director in advance; a Festival-Salon collaboration seemed in order, for obvious reasons. 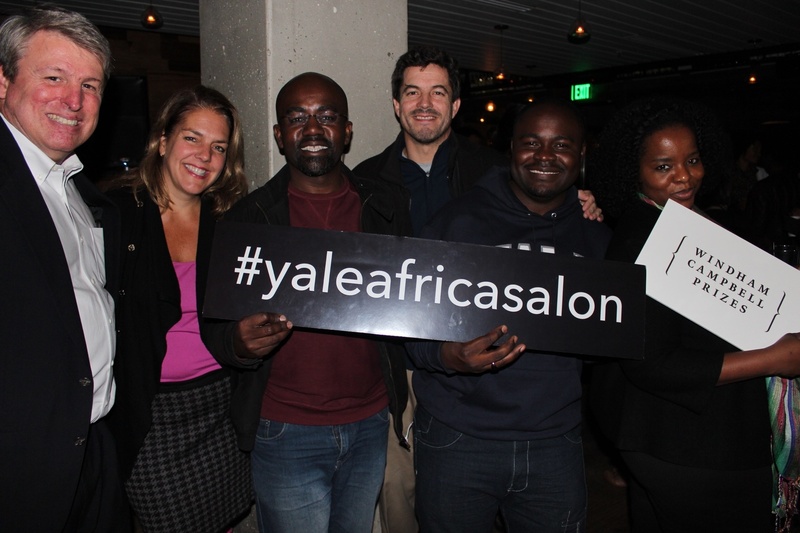 During our conversation, a plan emerged for AFRICA SALON to produce the Festival’s first-ever Closing Party, a means to bring together the prizewinners, Yale, and the greater community of New Haven, Connecticut to celebrate the culmination of the week. I believe in the power of parties, the way they allow different people to relax and collide. The way they spark late-night conversations, synchronized movement, and maybe even collaborations. On the final night of the Festival, a diverse group of Yale students, faculty, and staff, New Haven community members, and prizewinners came together and danced to African, international, and Top 40 hits. I moved through the crowd, capturing the party with my camera, lighting up an attractive mix of black, brown, and white faces in the dark. That circle that inevitably forms on the dance floor emerged around 1AM; in the middle, Teju Cole danced with a former classmate of mine. It was fitting that the Festival would end here, in this way. We were just across the street from the Yale University Art Gallery, and between the significant number of students and the elegance of the venue, the event did feel somewhat “Yale”; at the same time, it felt like something different, something new, something warmer. It was a celebration that affirmed the local and international, the professional and the social being, and the value of diverse stories that entertain, enlighten, impact, and affirm us when we make space for them. Ifeanyi Awachie is a Nigerian-American creative. She studied English at Yale University, where she was selected for the competitive Writing Concentration. 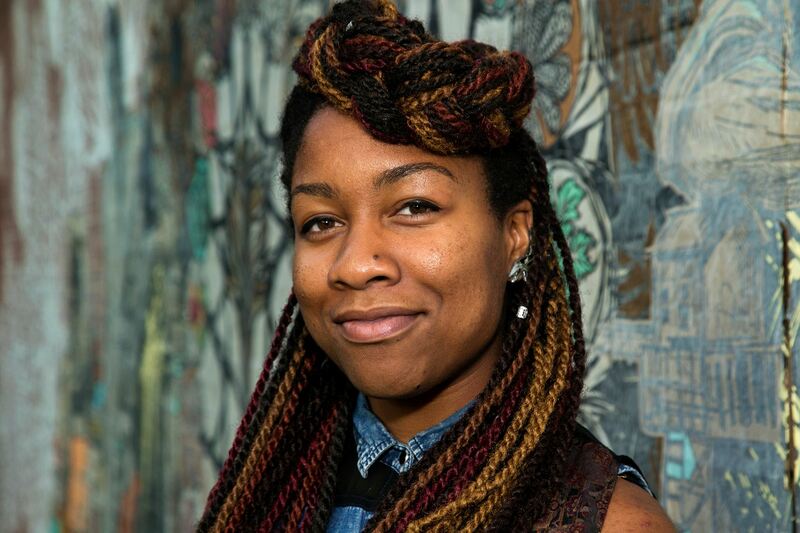 She wrote, performed, competed with and served as Artistic Director of Teeth Slam Poets, Yale’s nationally-recognized slam poetry team. Ifeanyi recently published Summer in Igboland, a work of personal nonfiction and photography aimed at documenting Nigeria in a nuanced way and rebranding the country in a positive light. Currently, Ifeanyi works as a writer, photographer, and Curator of AFRICA SALON, Yale’s contemporary African arts and culture festival. She is based in New Haven, Connecticut, USA.